HR and business leaders from Acacia Fabrics, AirAsiaX, Honeywell, Jotun, Mondelēz, MoneySmart, MSD Malaysia, P&G, and Willis Towers Watson count down the trends in expatriation, in interviews with Jerene Ang and Aditi Sharma Kalra. Mobility is commonplace in today’s environment. As a business evolves in the VUCA world, so does the function. Each year, we find evolving topics, emerging issues and a number of changes in the fields of employee mobility and expatriate management. According to SIRVA’s report titled Talent Mobility for Business Growth, more than 55% of participants indicated the mobility function had undergone a transformation in the past three years, with more than 81% acknowledging the transformation had an impact on how it operates within the organisation. The report also revealed that while the bulk of the participants (62%) saw the purpose of the mobility function as a mix of operational/ administrative support and strategic business advisory services, 28% indicated a need for mobility to focus solely on business advisory. The report added that with the current perception of mobility as focused on business partnering at 16%, there is an opportunity to better align. With various changes expected in the near future, in this feature we present a special focus on some of the most important mobility considerations anticipated in the coming 12 months, as drawn from HR and mobility leaders across Malaysia, Singapore and the rest of Asia. In Southeast Asia, the minimum salary criteria for employment passes has significantly changed over the past year. Effective 1 September 2017, the minimum salary for foreigners to qualify for Cat I passes in Malaysia is RM10,000 per month, while the duration of a contract has been increased to a ceiling of five years. Similarly, expats on Cat II work passes must earn a monthly salary in the range of RM5,000 to RM9,999 to qualify. In Singapore as well, from 1 January 2018, the minimum fixed monthly salary required for EP and S Pass holders in Singapore to bring in family members on Dependant Passes has been increased to S$6,000. This is an increase of 20% from the current qualifying salary of $5,000. In addition, work pass holders will have to meet a minimum monthly salary of $12,000 to bring in their parents on Long Term Visit Passes. The tighter expatriation policies may result in less of an inflow of talent to markets with tightened requirements, as well as regional hubs. When asked about these tighter expatriation policies across the region, Wytinne Cheng, regional HR director for Southeast Asia and Pacific at Jotun, notes that in the short term, it may result in less of an inflow of talent to markets with tightened requirements, as well as regional hubs. “However, globalisation will continue to erase talent borders and evolve the employment landscape in the longer perspective,” she says. This increase of internal talent transfer within ASEAN countries will cast a paradigm shift in designing the mobility package. In Gan’s view, this increase of internal talent transfer within ASEAN countries will cast a paradigm shift in designing the mobility package, taking the example of movements from Singapore to Malaysia, or Vietnam to Thailand, or Malaysia to Philippines. In Southeast Asia, Singapore is a hot location for regional hubs. However, with the country lacking in land mass, there is a limit to the number of hubs the country can host. 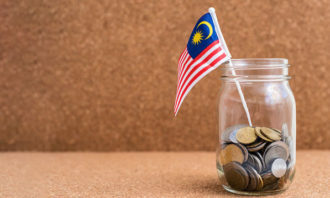 Hence, multinationals looking to gain a foothold in the region are increasingly setting up their regional hubs in neighbouring Malaysia – which boasts a similar level of English proficiency and talent. According to Chella Pandian, human resources director – sub region; global talent development lead for Merck Women Network, MSD Malaysia, against the backdrop of a talent hub, companies will need to bring in people such as team leads from various countries in the region to work. In line with this, he points out the shared service and BPO sector will need to host a larger number of language-speaking skills. With many Malaysians willing to learn the Japanese language, there is an uptake in bilingualism in the local talent pool. Interestingly, he observes that some of the language needs can be filled locally. With many Malaysians willing to learn the Japanese language, there is an uptake in bilingualism in the local talent pool. However, he also notes that the interest and willingness to learn varies by language – less popular languages such as Thai and Vietnamese are more difficult to fill locally. On the same topic, Mondelēz’s Khosla shares the organisation is driven more by business needs than cost pressures. He explains: “We’re in an age where unprecedented change is the new normal. The AMEA region, which I oversee for Mondelēz International, is one defined by growth and opportunity, but not necessarily stability. “Organisations face new challenges every day and have to meet them with the right mindset and the right people to endure and thrive. I believe that leaders who invest in creating a change agile team and a nimble business model that cuts through complexity are at a huge advantage. Local hire contracts can help organisations save on costs since assignees are provided minimal expatriate benefits beyond the initial support when they first settle in. To make employee moves more cost-effective, Pandian suggests moving assignees on a local-hire contract, instead of full expatriate assignments that include benefits such as education and accommodation. He explains local hire contracts can help organisations save on costs since assignees are provided minimal expatriate benefits beyond the initial support when they first settle into the new country. “The local hires are what companies should look for, but it is not going to be easy to attract people and you have to talk about the advantages of the role itself. In order to attract someone on a local hire contract, a little bit of branding has to be done, they have to know ‘why Malaysia’.” He adds it helps if these local hires are assigned buddies from the same country as them to make them more at ease. 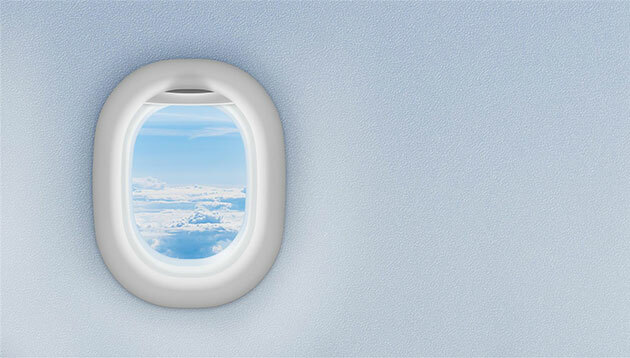 Continuing from Pandian’s point, according to Honeywell’s Gan, designing a cost-effective mobility landing package as well as meeting the relocating employee’s unique individual needs continues to be a priority in 2018. Related to being cost-effective is a growing trend where offices are relocating or closing down to make operations more efficient. 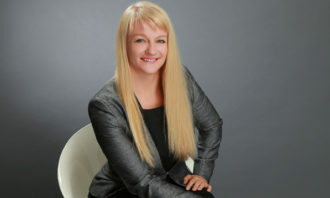 Designing a cost-effective mobility landing package as well as meeting the relocating employee’s unique individual needs continues to be a priority. Shai Ganu, managing director at Willis Towers Watson for talent and rewards – ASEAN and South Asia, believes that while expatriation will continue across Asia in the near term, it will increasingly be confined to executive and technical specialist roles. “Across the region, governments and employers are investing in building their own timber, that is, growing local leadership and technical capabilities,” he explains, calling out the seminal work that SkillsFuture Singapore is doing on Industry Transformation Maps, and Skill Frameworks. Having said that, Ganu expects the definition of mobility to shift towards more short-term assignments where executives and employees with specialist skills will spend three to six months in host countries to set up local skills, execute a particular project, or transfer knowledge to local teams. Across the region, governments and employers are investing in building their own timber, i.e., growing local leadership and technical capabilities. 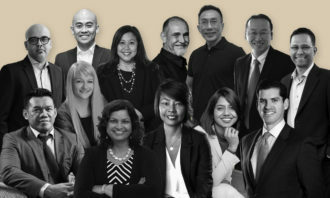 For example, Mondelēz’s Khosla reveals the global snacking company recently launched the Let’SGo Singapore, a programme to accelerate the growth of Singaporean talent by giving them the opportunity to live and work in must-win markets such as Australia, China, India, Malaysia and Thailand. According to Loo Swee Ping, group HR manager at Acacia Fabrics, one of the major employee mobility challenges that companies cannot overlook is the compliance to the legal and immigration matters of the host country which keep evolving to meet the needs of the local authority. One of the major mobility challenges that companies cannot overlook is the compliance to the legal and immigration matters of the host country. “HR plays an important role in regularly updating information of any change in the policy and procedures of the said country to avoid unnecessary hiccups during the process of assignees’ arrangements,” Loo says. 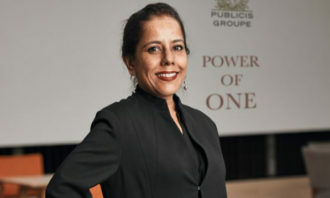 She reveals P&G aims to provide meaningful work for every employee at each career stage, including planning careers for the long-term, and in many instances, aspire and step up for a global career path that goes beyond geographical boundaries. Employees are seeking more flexibility in managing their careers – whether we will move to an on-demand/freelance/gig economy remains to be seen. Now that we have identified the top concerns for the months to come, how are HR leaders and mobility managers going to tweak their mobility programmes and policies to adapt to these trends? We’ll check back on this throughout the year and report our findings to you via our various features. Employee disengagement can lead to a toxic work culture and impact on productivity..